Join us on Sunday, Nov 1 for our Annual Dinner at Salem Church Hall in Wanatah. Doors open at 12 noon with the meal at 12:30. The entertainment this year is Quadraphonic Sound Barbershop Group. Tickets are $20/person at the door. 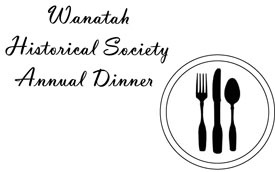 Please RSVP to Wanatah Historical Society at 219-733-2822, 219-733-2865, or 219-733-2927. Orders for memorial bricks are now being taken for installation in the museum courtyard. Bricks are $60.00 each. They may be inscribed with either the donor's name or in memory of someone. 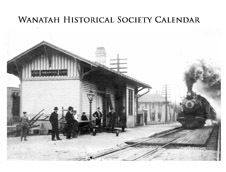 The Wanatah Historical Society was formed in 1996 by a group of concerned citizens from the areas of Cass, Clinton and Dewey Townships in LaPorte County (IN) and Morgan, Essex and Washington Townships in Porter County (IN). From the early days, through today and into the future it is the intent of the Society "To Remember - To Preserve" the history of Wanatah and the surrounding area for all future generations. 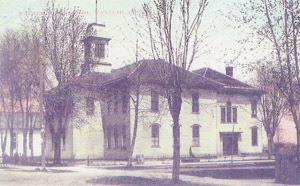 To engage in the documentation, collection, preservation and recording of information, genealogy and other items of historical interest concerning the area prior to, and after, the recording and incorporation of the Town of Wanatah and to include Cass and Clinton townships in LaPorte County and Essex, Washington and Morgan townships in Porter County. To do research concerning the history of the Wanatah area for educational purposes. To maintain an association of persons having an interest in preserving the past and future history of the area.